I regularly bought all kinds of Warren Magazines in the 70s. When I knew that Bernie Wrightson, the artist behind DC Comics Swamp Thing, was a semi-regular contributor, that meant I kept a sharp lookout for any work by him. 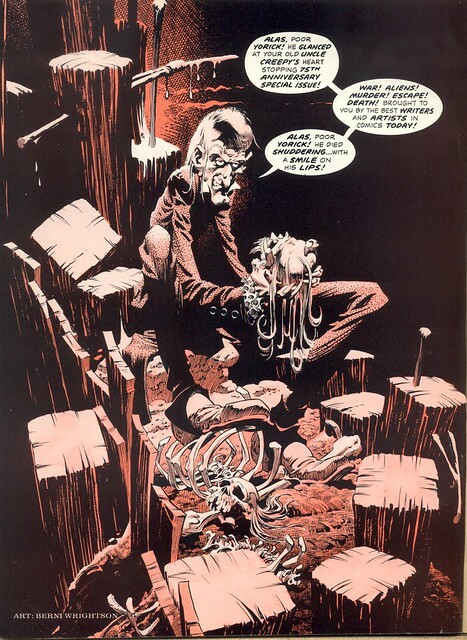 Wrightson did great stories for Warren but he also drew the frontispiece illustrations featuring the mascot character, Uncle Creepy! 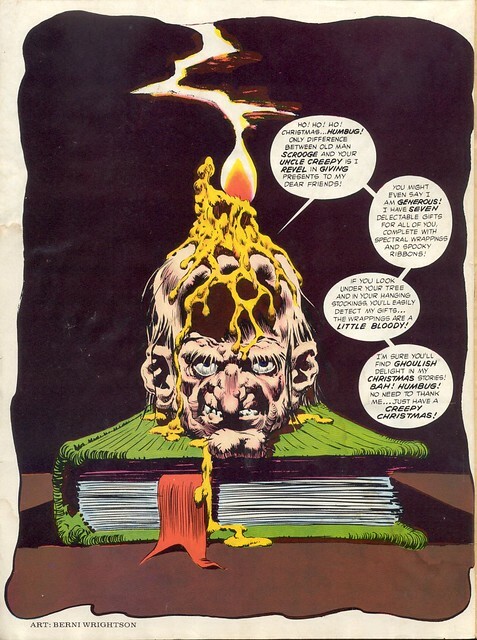 Uncle Creepy's head sits on top of a book, adorned by a melting candle, in Creepy #68 from 1975. The color works well here on this one. Some of the other inside covers were limited to one or two colors. Creepy #64 from 1974 featured a more intact Uncle standing by a rotting corpse. The line work from this illustration in Creepy #75 (1976) is nicely detailed with Wrightson's style. He has a theme going on here, with people losing their heads! 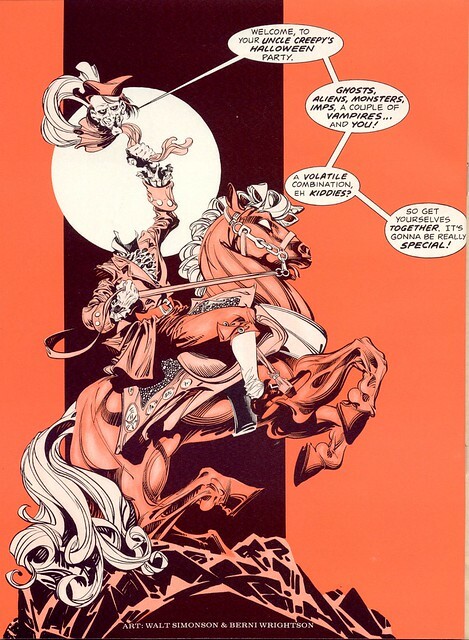 This bicentennial themed illustration from 1976 Creepy #76 features a rare collaboration between Walt Simonson and Wrightson! According to what I read, they were all pals during this period and hung out together frequently. I think this is an interesting blend of their two styles, which I never would have thought to put together. 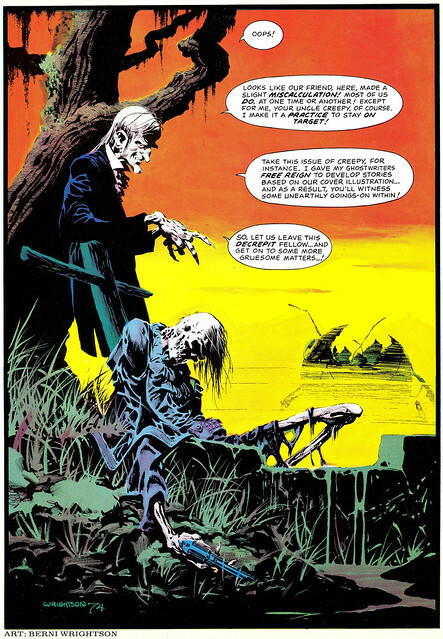 In looking up assorted facts on this material, I discovered that Dark Horse published a collection last year, Creepy Presents Bernie Wrightson, which contains all of his stories and pinups in one volume. Nuff Said!